Boil Water Advisory in All of a Major City? 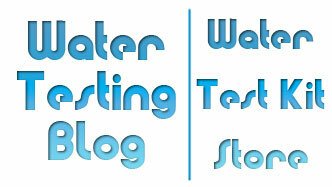 posted by Water Testing Blog on Thursday, May 30th 2013 under: Bacteria, City Water Test, Municipal Water Test, Water Quality Testing, Water Testing Tags: boil water advisory, montreal boil water advisory, what does a boil water advisory mean? Believe it or not, virtually the entire city of Montreal received the order to boil its water or use an alternate source (i.e. bottled water) recently after testing at one of the city’s filtration plants, the second largest in all of Canada, revealed some sort of sediment that no one could explain. Usually when you hear about a boil water advisory it applies to a few hundred or at most thousand unlucky individuals… but THIS advisory affected as many as 1,300,000 people! That had to set SOME sort of World’s Record, right? Before learning of the boil water advisory some residents called in to complain about discolored water coming out of their faucets. While the water did look unpalatable, officials at the water treatment facility stated that they preferred to err on the side caution and issue the boil water advisory even though they had very little reason to suspect any sort of contamination by bacteria in the water supply. What does a boil water advisory mean? Once issued, a a boil water advisory means affected residents should put water on the stove and bring it to a rolling boil for no less than 60 seconds before drinking or using it to cook, prepare food, wash cooking surfaces, brush teeth, or any activity where the water could wind up in contact with the human mouth. Experts claim that non-boiled water could get used for washing clothes and for bathing, but while bathing keep you mouth SHUT. Meaning… no singing in the tub, OK? Living in a large, modern city does not guarantee you safe, clean drinking water. Accidents and incidents (i.e. construction workers striking a water main, water treatment facility accidentally over-chlorinates the water supply, a line somewhere between the water treatment plant and your faucet develops a leak, a filtering screen at the water treatment plant, etc.) can happen in any size town, village, city, or thriving metropolitan mecca. In Montreal inspectors performing routine water tests noticed something went wrong and quickly responded by issuing a boil water advisory… but what about problems that may develop between the plant and your house? Quite honestly, the responsibility for noticing any water quality issues at that point belongs to the homeowner and some very sinister water quality issues cannot get noticed with the naked eye. Unwanted water contaminants like bacteria and dissolved metals have no associated taste, color, or odor and can only get detected through water testing. Can the average person test for things like coliform bacteria and dissolved metals? As a matter of fact they can! 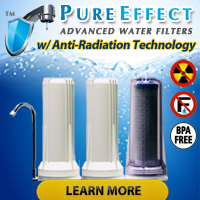 Test kits like the WaterSafe Lead Water Test Kit, SenSafe Water Metals Check, and EZ-Cult Coliform (Mug) Test makes testing water at home for lead, other metals, and coliform bacteria a quick, easy and relatively inexpensive process. « Can the 481396-2 Arsenic Quick Test Soil Samples?